Professor Ling Wang is Professor of Tribo-Sensing within Engineering and Physical Sciences at the University of Southampton. 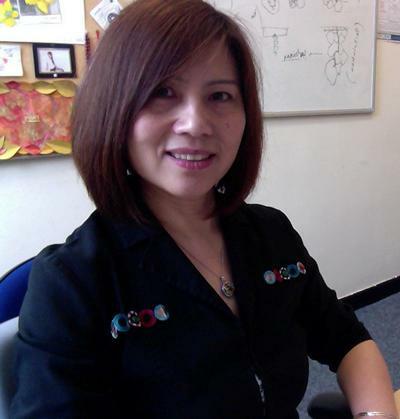 Ling is Professor of Tribo-Sensing at the national Centre for Advanced Tribology at Southampton (nCATS) within Mechanical Engineering Department in the Faculty of Engineering and the Environment. She has over 20 years research experience in the field of tribology and sensing. She chairs the University Strategic Research Group (USRG) on Monitoring of Engineered and Natural Systems Using Sensors (MENSUS) and is the deputy head of National Centre of Advanced Tribology Centre at Southampton (nCATS). Ling has published over 100 peer reviewed papers and led a number of collaborate research projects sponsored by EU, UK Research Councils and a range of industrial partners including Rolls-Royce plc., GE Aviation, Vestas Wind Systems, Shell Global Solutions, Afton Chemical Corporation, John Crane and Schaeffler Group, with an over £8M grant portfolio. Ling obtained both her BSc and MSc in Chemistry from Nankai University in China, and her Diploma in Environmental Engineering from Portsmouth University and PhD in Systems Engineering from Southampton Solent University in the UK. She joined the Tribology and Surface Engineering Group at University of Southampton since 2001. Bearing failure detection using vibration, acoustic emission and electrostatic sensing techniques. Data mining and fault prediction using artificial intelligence and statistical techniques. Thick-film sensor development for oil degradation monitoring. Wind turbine bearing failure (white etching cracking) research: rolling contact fatigue, subsurface crack analysis and crack network 3D modelling; material analysis using SEM/XRD; FIB/TEM; hydrogen content analysis; white etching crack monitoring using multiple sensors. Engine oil age detection using thick-film sensors (online oil acidity measurement). Surface Engineering: friction modification using self-assembled monolayer, polymer brushes and surface texturing. PI, ‘Integrated Intelligent Bearing Systems (I2BS) for UHPE Ground Demo’, sponsored by EU Clean Sky2 programme (Grant Agreement No.717174), 2016 – 2021. PI, ‘White etching crack detection using multiple sensing and advanced signal processing techniques’, sponsored by Schaeffler Technologies and University of Southampton, 2016 – 2019. PI, Royal Academy of Engineering Visiting Professors Award (VP1516/2/53) for Prof Walter Holweger at Schaeffler Technologies, 2015 – 2018. Co-I, ‘Hybrid Medical Polymers (HyMedPoly)’, sponsored by EU H2020 (Grant Agreement No. 63050), 2015 – 2019. PI, ‘Root cause of white etching cracks’, sponsored by Schaeffler Technologies AG & Co. KG, 2014 - 2018. PI, ‘Develop green lubrication solutions for automotive engines’, sponsored by DSTL and EPSRC, 2014 – 2017. PI, ‘Surface texturing for hydrodynamic bearings’, sponsored by John Crane and EPSRC, 2014 – 2017. PI, ‘A study on the influence of lubricant and lubrication on white etching crack mechanism’, sponsored by Afton Chemical Corporation and EPSRC, 2013 – 2018. PI, ‘Tribology and through-life maintenance strategies for premature wind turbine gearbox bearing failures’, sponsored by EPSRC EP/1033246/1, 2012. PI, ‘Prediction of metallic materials wear behaviours from their chemical compositions using a backpropagation neural network approach’, sponsored by Rolls-Royce plc., 2012 – 2013. PI, ‘Material Slip / Rolling Wear Tests’, sponsored by Rolls-Royce Nuclear, 2012 – 2013. PI, ‘Thick film sensors for Engine oil acidity detection’, Shell Global Solutions (UK), 2010 – 2013. PI, ‘White Structure Flaking (WSF) in Wind Turbine Gearbox Bearings: Effects of Butterflies and White Etching Cracks (WEC)’, Vestas Wind Systems, 2009 – 2013. PI, Travel grants from Royal Society and Royal Academy of Engineering, 2009. Using structured surface rather than smooth surface to decrease friction is at variance with the classical tribology theories. However, it really happened and has been proved by worldwide researchers. Admissions Tutor for Mechanical Engineering Courses between 2008 and 2012 (deputy in the first two years). Lu, P., Wood, R., Gee, M., Wang, L., & Pfleging, W. (Accepted/In press). A novel surface texture shape for directional friction control. Tribology Letters. Bashir, I., Zaghari, B., Harvey, T. J., Weddell, A., White, N., & Wang, L. (Accepted/In press). Design and testing of a sensing system for aero-engine smart bearings. Proceedings, 2(13). Lu, P., Wood, R., Gee, M. G., Wang, L., & Pfleging, W. (Accepted/In press). The friction reducing effect of square-shaped surface textures underl lubricated line-contacts - an experimental study. Lubrication Science, 1-13. Richardson, A. D., Evans, M-H., Wang, L., Wood, R. J. K., & Anderson, W. (2014). Confirming subsurface initiation and propagation as one mechanism for white etching crack (WEC) formation. Tribology & Lubrication Technology, 70(10), 24-26. Evans, M. -H., Richardson, A. D., Wang, L., & Wood, R. J. K. (2014). Investigations of white etching crack (WEC) formation under rolling contact fatigue. Tribology & Lubrication Technology, 70(1), 1-80. Wang, L. (2010). Condition monitoring research in the national Centre for Advanced Tribology at Southampton (nCATS). Condition Monitor, June, 9-13. Wang, L., Wood, R. J. K., & Sun, J. (2008). Acoustic emissions from tribological contacts. Condition Monitor, 260(1), 6-9. Wilches Pena, L. V., Wang, L., Mellor, B. G., Huang, Y., & Wang, N. (2016). A study of white etching areas in an annealed 52100 steel through high pressure torsion processes. Paper presented at 71st STLE Annual Meeting and Exhibition, Las Vegas, United States. Gropper, D., Wang, L., Harvey, T. J., Meck, K-D., & Gviniashvili, V. (2016). Influence of surface texturing on the performance of tilting pad thrust bearings. Poster session presented at 71st STLE Annual Meeting and Exhibition, United States. Ang, K. C., Wood, R. J. K., & Wang, L. (Accepted/In press). Addressing the optical reflection issues in complex rough surfaces. In Proceedings of the 12th International Conference on Metrology and Properties of Engineering Surfaces, Rzeszow, Poland (2009) Rzeszow, Poland: Rzeszow University of Technology. Ang, K. C., Wood, R. J. W., & Wang, L. (2009). Advanced optical laser triangulation assessment for tribological surfaces. Paper presented at World Tribology Congress 2009, . Ang, K. C., Wood, R. J. K., & Wang, L. (2009). Assessment of complex rough surfaces for surface texturing and tribological applications. Paper presented at UK-China Symposium & Summer School of Tribology and Surface Engineering, . Wang, L., Wood, R., & Sun, J. (2008). Acoustic emissions from oil lubricated metal on metal sliding contacts. In The Fifth International Conference on Condition Monitoring & Machinery Failure Prevention Technologies. First Edition 2008 (pp. 1484-1499). Oxford, GB: Coxmoor. Chen, S. L., Wood, R. J. K., Wang, L., Callan, R., & Powrie, H. E. G. (2008). An integrated scheme for adaptation and updating of anomaly detection model. In Proceedings of the 3rd World Congress on Engineering Asset Management and Intelligent Maintenance Systems (pp. 284-296). London, UK: Springer. Chen, S. L., Craig, M., Wood, R. J. K., Wang, L., Callan, R., & Powrie, H. E. G. (2008). Bearing condition monitoring using multiple sensors and integrated data fusion techniques. In Proceedings of the Ninth International Conference in Vibrations in Rotating Machinery (pp. 586-600). Oxford, UK: Chandos. Wang, L., Wood, R. J. K., & Sun, J. (2008). Unlubricated metal on metal sliding contact and its acoustic emission signatures. 1614-1624. Paper presented at 3rd World Congress on Engineering Asset Management and Intelligent Maintenance Systems Conference, . Ang, K. C., Wood, R. J. K., & Wang, L. (2007). Characterisation of electron beam sculpted surfaces. Paper presented at 13th Materials, Surface Engineering and Bioengineering Sciences Research Groups' Postgraduate Conference, . Ang, K. C., Wood, R. J. K., & Wang, L. (2007). Complex rough surface characterisation using a modified and calibrated optical laser triangulation system. Paper presented at 9th International Conference of the European Society for Precision Engineering and Nanotechnology, . Ang, K. C., Wood, R. J. K., & Wang, L. (2007). Metrology techniques for 3D complex surfaces produced by Surfi-Sculpt® Direct Writing process. Paper presented at Direct Writing 1st International Conference, . Ang, K. C., Wood, R. J. K., & Wang, L. (2007). Three-dimensional (3-D) characterisation of sculpted surfaces. Paper presented at 11th International Conference on Metrology and Properties of Engineering Surfaces, . Wood, R. J. K., Wang, L., & Sun, J. (2006). Wear monitoring of lubricated sliding contacts by acoustic emission and electrostatic technologies. 1-5. Paper presented at Institution of Mechanical Engineers:Tribology Group, 50th Anniversary Conference, Tribology 2006: Surface Engineering and Tribology for Future Engineers and Drivelines, . Wang, L., & Hope, A. D. (2005). Fault diagnosis of centrifugal pumps using vibration analysis. 1-9. Paper presented at Twelfth International Congress on Sound and Vibration (ICSV12), . Wang, L., Wood, R. J. K., Care, I., & Powrie, H. (2004). Electrostatic wear sensing of ceramic-steel lubricated contacts. In A. Lubrecht, & G. Dalmaz (Eds. ), Transient Processes In Tribology (pp. 711-720). (Tribology and Interface Engineering; No. 43). Elsevier. Wang, L., Streit, E., Powrie, H. E. G., Care, I. C. D., & Wood, R. J. K. (2004). Performance evaluation of hybrid (ceramic on steel) bearings with advanced aircraft engine oils for lubrication. 117-126. Paper presented at ASME TURBO EXPO 2004, . Wang, L., & Hope, A. D. (2004). The application of vibration analysis to pump fault diagnosis in the waste water industry. 975-982. Paper presented at Eleventh International Congress on Sound and Vibration (ICSV11), . Wang, L., & Hope, A. D. (2003). A systematic procedure for the application of artificial neural networks to pump fault diagnosis. 477-490. Paper presented at Proceedings of the International Conference on Condition Monitoring, . Wang, L., Hope, A. D., & Sadek, H. (2001). Fault diagnosis using artificial neural networks for waste water pump bearings. 291-299. Paper presented at International Conference on Condition Monitoring, . Wang, L., Hope, A. D., & Sadek, H. (2001). Multi-layer neural networks and pattern recognition for pump fault diagnosis. In A. G. Starr, & B. K. N. Rao (Eds. ), Condition Monitoring and Diagnostic Engineering Management: Proceedings of the 14th International Congress (pp. 593-598). Oxford, UK: Elsevier.